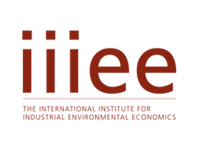 Lighting Metropolis invites municipalities across Greater Copenhagen to an exclusive seminar, organized by IIIEE – the International Institute for Industrial Environmental Economics at Lund University, in collaboration with the Swedish National Agency for Public Procurement and the Swedish Energy Agency. The seminar offers a great opportunity to estimate the lifecycle cost of lighting procurement, and how to reduce the impact on people and the environment. The seminar is free of cost, and is held on October 6 at IIIEE, Lund University. Registration via email to mikael.backman@iiiee.lu.se by October 2 latest.